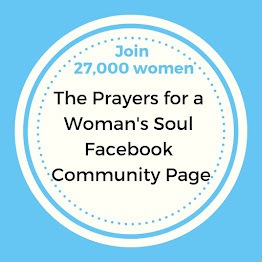 As I prepare to launch the Prayers for a Woman’s Soul Online Study in two weeks, you’ve been on my heart and mind. I am asking the Lord to prepare our hearts for all He has for us from September 9th-October 28th and afterward. I’m thanking Him ahead of time for all the good things He has planned for us. I’m sensing this study is going to be challenging—but in a wonderful way. Challenging and rewarding and life-transforming, all at the same time. I love when God challenges us, rewards us, and transforms us. Because that is what this journey toward Him is all about, what our hearts long for. And He is with us every step of the way. 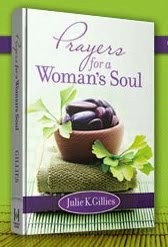 This week in celebration of my upcoming study, I’m giving away 2 signed copies of Prayers for a Woman’s Soul. So if you’ve been thinking about joining us as we begin the holy habit of praying for ourselves, but haven’t yet gotten your copy of the book, here is your chance to win one. And if you’ve already signed up? Already have your copy of the book? Thank you from the bottom of my heart. I am so looking forward to spending time together. I know God has good things in store for you! If you are reading this via email please CLICK HERE TO LEAVE A COMMENT. As a "baby" Christian, I have not once thought of praying for myself. I thought I should become more educated in becoming a better Christian, wife, mother, friend. Praying for myself makes me feels selfish almost. I'm very interested in where this will take me on my journey. Thank you for offering this online course. As a busy working mom, my daily bible studies happen at 4 a.m. and for some reason, no one wants to join me at that time!! I want to learn how to pray more consistently and more focused and to truly get closer to God.....I want to hear from Him. I feel lost as a mother and a wife and not having a career and I feel like my soul is searching, for what, I don't know. Hence I'm joining you so I can learn and grow. Thank you for offering this bible study. As a divorced (after 10 yrs of marriage) single mother of 3, I find myself weary most days. My mind is constantly preoccupied with bills, kids' activities, work...and did I mention bills? My plate is usually overloaded as I take on others' burdens, because I think my situation could be much worse so it's my duty two help others. My counselor tells me that I'm so busy helping my kids deal & heal as they struggle with dad's infidelity, lies, temper and the fact that he is now with a woman who has 3 kids...that I have not had time or energy to focus on my own healing. I so desperately want to dig deep so that I can reach new heights spiritually through this study. I truly want God to transform me inside out as I return to my first Love. God has shown me over & over what love is...Him. I have to move pasta my ex not loving me or honoring othe vow he made to God and me. Now is the time for me to honor my vow to God, by honoring Him in all that I do and say. This study will help me draw closer to Him, heal and be a blessing to someone else. I have singed up for the study but I haven't been able to purchase the book yet so winning one would be a blessing! I know that if change is to take place in my life... it begins with me. So often though, when I pray I pray more about the things I'm concerned about in life than the things that need to change in MY life. So... I hope this study will be used by the Spirit to change me & make me more like HIM. Lately my prayer life has been inconsistent. i want to grow as a pray-er. i yearn for more of God and for an effective prayer life. i have invited a friend to join this study with me. We both have prodigal children and are drained at times. For the last year I have been struggling in my prayer life. As I have watched family and friends go through so much heartache and so many trials. I have prayed and prayed and it seems as though they aren't being heard. I know that God is there and that He has answered them, I just feel lost in the process. I want Him to be the center of my life and want to always serve him.I know that I am the problem that God can't use me till I get right with Him. I pray that I can be changed into the woman of prayer that He wants me to be. Thank you so much for offering this study. I want to grow closer to God.......in prayer and in my overall life. Looking forward to the OBS; as soon as I purchase the book. I really want to learn how to pray for myself. I am very faithful to pray for others, but I have trouble asking things for myself personally. So I usually lean unto my own and walk through it. Praying for all the wonderful women here that have commented. A closer walk with God in all areas of my life is my heart's desire. I've learned to trust God in everything, and I want to draw even closer t to His heart. I've already won your wonderful book and it is life-changing. I would gift a new copy to a sister in Christ and invite her to join the study. Thank you, Julie. 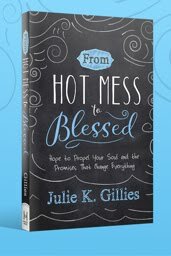 Oh Julie....as I begin to transition from a full time stay at home homeschooling Mom this year (my youngest son is a senior this year) I so want to get out of this study a way to find out again who I am and what God wants me to be and do in the coming years. Julie, I am praying for clarity and self esteem! I'm going through a transitional period and its hard. My husband and I moved a year ago to a new city that's 10 hours away from family and friends. It was a great move for his career. Mine.... Not so much! I haven't worked in a year, not by choice! I've applied over 100 places and only had two interviews. This pushed me into a serious depression and attempted suicide. In the midst of all this,I had my third endometriosis flare up that resulted in a hysterectomy. All I can focus on is I'm 30, no kids, will never have kids, no career, depressed, and lonely. I want to grow closer to God, to learn to walk with him every second of the day, to hear his voice throughout the day and have the peace in my heart that only he can give. We are going through some tough times right now and I want to focus on my Lord not the circumstances around me. I have a copy of your book. I'd love to participate in your daily experience with this book with you. LORD, I lift up all the ladies who have commented on this post who are struggling with life right now. I pray for YOUR peace to fill them to overflowing. Because YOU are in control. In Jesus' name, amen. I have recently lost both my mom and dad (I was their caregiver). I am a pastor's wife, and am responsible for leading the way for the worship and the women in our church. Problem....I've kind of lost my way. Both of my folks died painful deaths and it has brought me to a place that I really have not been before. Praying for myself? Doing for myself? Sounds selfish - no YELLS selfish in my head....but I know that it's where I am right now. Thanks for your study. I want to go deeper in my relationship with God, to learn how to focus on Him when everything around me seems so out of control, to learn how to pray scriptures for different situations, and to know God more. I don't have a copy of your book. Not because I don't want one, but because of the busy ness of life. Can you say procrastination? We're moving this weekend to be closer to our oldest son and wife who need childcare for their children while they pursue schooling and jobs. It's what my husband and I have agreed to, but it's not without it's problems. Moving over 2 hours away from my church is a BIG one. I enjoy your emails, and I'm hopeful I'll win a copy, but I'm sure there are others who need it worse than I do. May God bless you as you do this study strengthening our sisters in the faith. I have your book and cherish it. My Aunt also has your book and it is making a big difference in her life. She is signed up for your study and is so excited. Thank you for all that you do and for your prayers. With this study I want to learn to pray powerfully, not only for my-self but for others. I want to get even closer to God, than I am now, seek him more, feel His presence, hear Him. I don't have a copy of your book yet. I want to improve my prayer life--can't wait to start the study. I don't have the book yet and would love to be one of the ones selected to get a copy. I am desperate to have truly meaningful and authintic prayer time with God-not to only ask for things I need but to commune with Him on a deeper level than I could have ever imagined. I am hoping to be able to purchase the book in time for the study! I want to grow closer with God... I want to connect with Him on a level I never have before. Opening my heart- opening my soul to Him with complete honesty. I'm hope your study about praying will really change something in my life. To be a wife and a working mom of 3 children is not easiest way, but I know God taking care of us and He gave me the Proverbs 31! I'm so glad to read a daily Encouragements. So I'm waiting patiently to start the Prayer for Woman's Soul. I haven't your book but thinking about how to purchase it. Patience. I need to learn to be more patient. I can hardly wait until next week when your study begins. Ialready have my book. I'm ready! Already been marking up thebook, finding words that simply speak into MY LIFE! Thankyou. I have already decided this is the book I will be giving away for Christmas. Every woman needs it! To become the woman God had in mind when he created me. I just found you, and have put you on like, I share you with all my FB friends, Please let me know how to get into your study .. Thanks for all you do for Women!!! I love reading the prayers. They all tug at my heart. I have tried praying at times but feel that I just don't get them right or say what I should. I really could use some true help in that department. I'm going through a rough time with my marriage right now and would love to have this book to learn and study with. 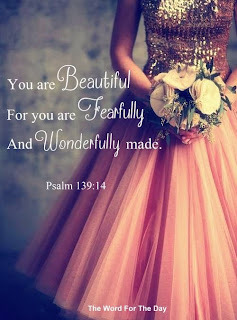 Thank you for the blessing that you are to so many women out there who need the help,encouragement and understanding. Julie, thank you for your prayers! My life's journey with our Lord, especially this past year, through Bible study and prayer renews my spirit and strengthens me every moment with every breath I take. I am hoping that through this study, I will continue to develop a deeper and stronger prayer life as well as a more intimate relationship with God! I've recently started my journey to become closer to God, to learn how to pray, to bring more peace in to my life. I'm grateful that a friend introduced me to your site and your book and I'm looking forward to continuing my journey with you! I want to become closer to my God. I want to hear and act on what he is telling me. I want to show him that I truly love him. That I would believe I am worthy to be loved unconditionally by God. I'm great at front-burner prayers, but find that the rest of the time, my prayers seem to be just a repetition of my prayer list day after day. I want a deep prayer life for myself - I knnow it will help me pray better for my family and loved ones. As a new mom, I am seeking peace an a closer walk with my heavenly father as I take on this new challenge of motherhood. I desire to be all that he would have me to be as a parent an raise my daughter in a way that is pleasing in his sight. I would love a more deeper prayer life with my heavenly father. I am looking forward to that and to develop a deeper more intimate relationship with God. God is good & His Holy Spirit is leading me down the path of a deeper relationship. I thank Him for leading me to your blog and look forward to beginning this adventure with you. I'm praying it will be the start of something great as I make preparations for my Emmaus Walk this fall. Wow, thank you for thinking of a giveaway and signed. I have love praying for other and even started to journal my prayer. I have been searching for employment for over a year, and trying my best to stay focus on the Lord during these hard time. I can't thank you enough for blessing someone with this book. I want my heart to hear again & remember what God's dreams are for my life. Somewhere along the way, I lost the dream. In pursuing & trying to find it again, it's always been just beyond my grasp. I am looking forward to starting the OLBS. I want more than anything to receive the power to learn to pray not only for others but also for myself which is something I have yet to learn. Can't wait to meet and greet the others ladies as we study God's plans for us. With all my love. I just happened to come across your blog and can't wait to read your new book! 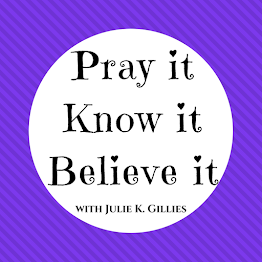 I just finished a study on High Voltage Prayer and I feel this connection we have to God is so powerful and as a single full time working mom to teens I feel pulled in so many directions and I'm working on developing a more consistent prayer life.